We spent three hours driving through a horrendous thunderstorm on yet another dr. visit. If there was a bright spot to the day it was the stop on the way home at Gadeleto’s in New Paltz to purchase our dinner of Soft Shell Crabs. We were once again wowed by the store. It’s almost worth a visit to the dr.
1. 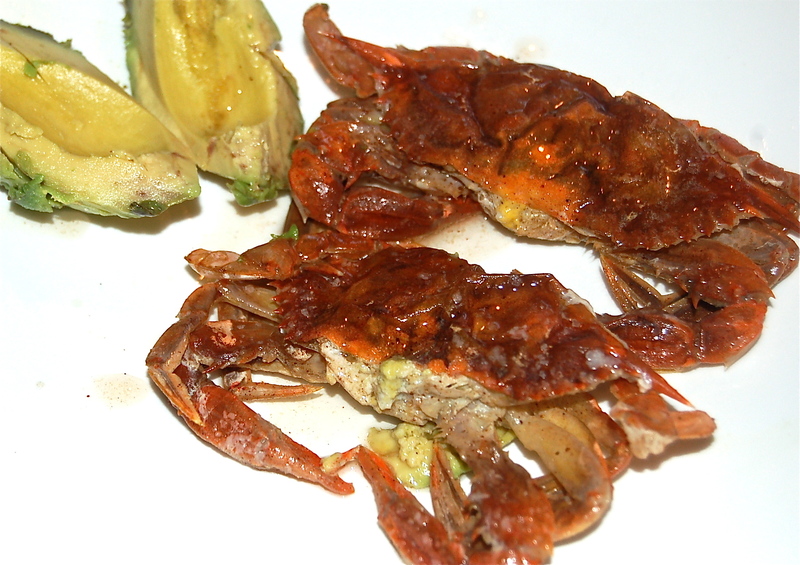 Rinse, paper towel dry & season the Soft Shells. Set aside. 3. When the Oil is almost smoking, add the four Soft Shell Crabs, shell side down for one minute. Be careful of spattering. Turn over & repeat. Remove to paper towels to sop up the Oil. 4. Simply plate and garnish as you like. Ate these at a Charleston restaurant last night. Picked some up to try our own hand at tonight. Thanks for posting. Had to Google a bit to find recipe without breading!